It’s been an incredibly busy few months for me in lots of ways. But I’ve also managed to get a few things shipped as Seth Godin might put it. So I thought I’d write a few posts about them. One of the things I’ve managed to get done is submitting all five of The Irish Story‘s first set of ebooks into the iTunes App store. Some of them (Rebellion, Famine and Easter Rising) are already live and available. The final two (Civil War and Independence) will go live soon. Since I finished at Mercier Press and decided to create The Irish Story, Apps and ebooks were always my focus, the ebooks were the easier part to create, the Apps took a little longer so I’m very glad we are there with them now. It has been a great experience, which I mostly put down to the talent and commitment of our wonderful co-publisher, Mike Hyman at Collca. I first came across Collca in late October when I found the wonderful History in An Hour Series, which I discovered Collca co-published. That find sparked an e-mail, a phone call and a contract agreement within a fortnight and now a five app publishing schedule in the space of six weeks. Things can truly move rapidly in the digital publishing space can’t they? I’ve written before that I don’t believe that Apps are the future and that ebooks are a distraction. Oddly enough I don’t see the fact that I publish ebooks and apps as a contradiction of those writings. Rather I believe a publisher should be ensuring that all their material gets out on the market in as many ways as possible. So rather than one edition or one format, books should appear online, as ebooks, apps, printed editions or whatever else they can reasonable be packaged as. Brian O’Leary who writes cogently and well about issues in publishing calls this agile content widely deployed. I like to think that The Irish Story Apps are just one example of that! Seriously silly thing for iTunes to be doing! Little did he know that when he opened the EPUB file in iTunes, iTunes had the audacity to add a little file to his original EPUB document. No, not only to the EPUB that he copied to iTunes, but also to his original EPUB file. The file is called “iTunesMetadata.plist”. You wont see it unless you look inside an affected EPUB. To add insult to injury, when Andrew tried to upload his EPUB to the iBookstore, his ebook was rejected because of the aforementioned error! In short, iTunes adds an erroneous file to his EPUB and then Apple says he cant upload the file because of it. OK, thanks to more information from Andrew, I’ve figured out what the problem was. Although it’s true that iTunes annoyingly adds that iTunesMetadata file to your original EPUB file when you copy the file to iTunes, that’s not what’s causing the invalidation. But if you use iTunes to add a cover to your EPUB, as described in this video by Terry White, and then upload that EPUB to iTunes Producer, that EPUB will not validate and thus will not be accepted into the iBookstore, because the cover image is not properly contained in the OPF file. via Pigs, Gourds, and Wikis: iTunes invalidates EPUB files for iBookstore. 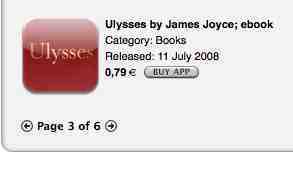 Considering a new paperback edition of Ulysses is available for about £7.50 and Portrait Of The Artist for a measly £2.50 on The Book Depository, I’d say 79 cent each is a massive bargain. The copyright on Joyce‘s works has lapsed in the US if I’m not mistaken (or at least if Wikipedia is not mistaken) but not here or in the UK. I’ll be Apple never anticipated a territorial issue with iPhone Apps? The Joyce estate will no doubt be onto this one quick, in the meantime, download away. Hopefully this post will not be prescient if the ebooks are eventually withdrawn. Publishing News is closing shop on its print and online news operations. These seems sad and a little depressing to me. I like The Bookseller and I have enjoyed the way their website has grown more functional and useful over the last year or so, but a bit of competition never goes astray. Speaking of The Bookseller, Penguin CEO John Makinson has a nice little piece online there about the forbiding nature of the Publishing industry to outsiders. Alan Sutton, my former boss @ Nonsuch Ireland, comes back from the ashes again with a new firm. He never stays down that man. it’s pretty impressive. You’ll note too that the comment thread has had to be policed and clamped down for the night! 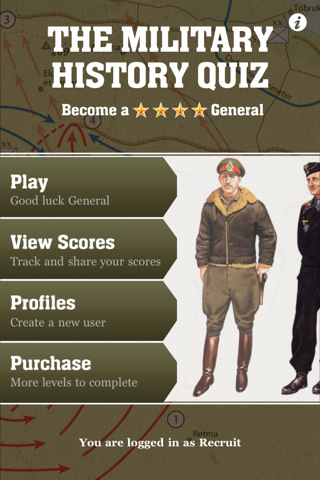 iTunes Apps Store turns out to be a bloody good way of selling e-books or at the very least of hosting them for sales. More on this next week when i think it through properly.